Every now and then a roof comes along that offers up a challenge or three. Everything is fixable, or is it? The idea is not to make any assumptions about how bad the roof really is. Probe and inspect whilst treading carefully. 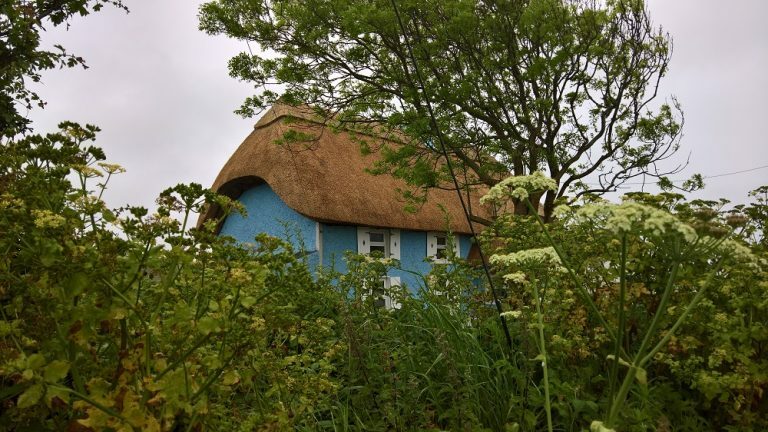 The root systems of the plants you find on thatched roofs generally don’t penetrate deep. They run down the roof sometimes only a few inches deep. 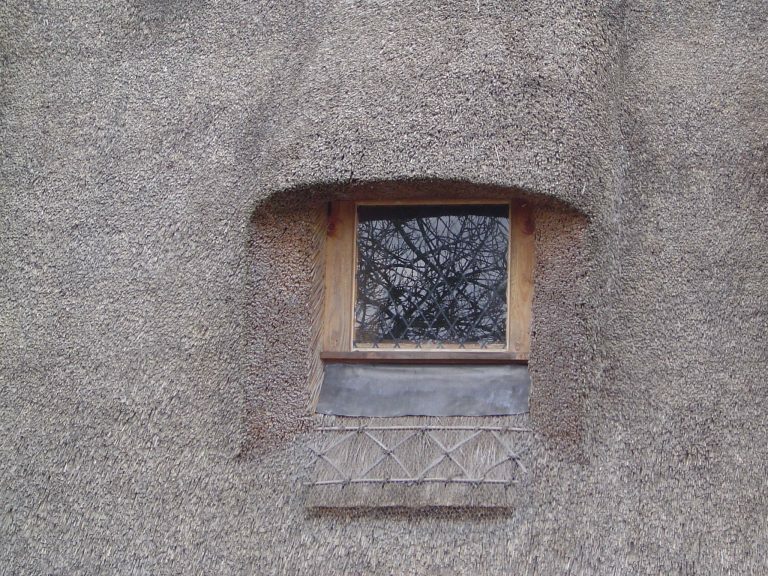 Suprisingly, the roof shown above was quite dry underneath. 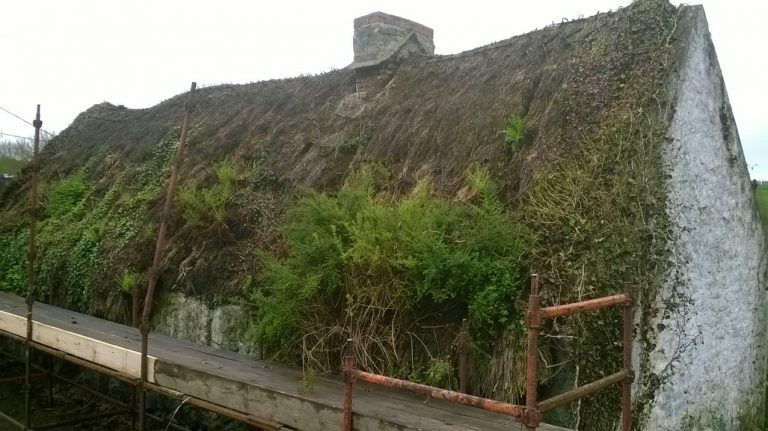 As you can see from the image above the vegetation has been removed, along with 350mm of old thatch. 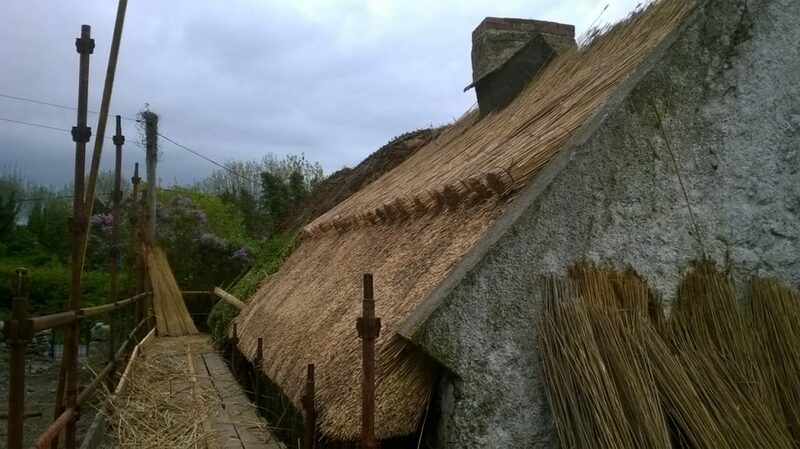 This roof has many layers of thatch built up over the previous decades. You must strip back until you find a firm base to scallop on a new coat. If soft patches are discovered, or holes, then deal with them bringing them up to a standard of firmness so that they will take the fixings/scallops from the new coat. 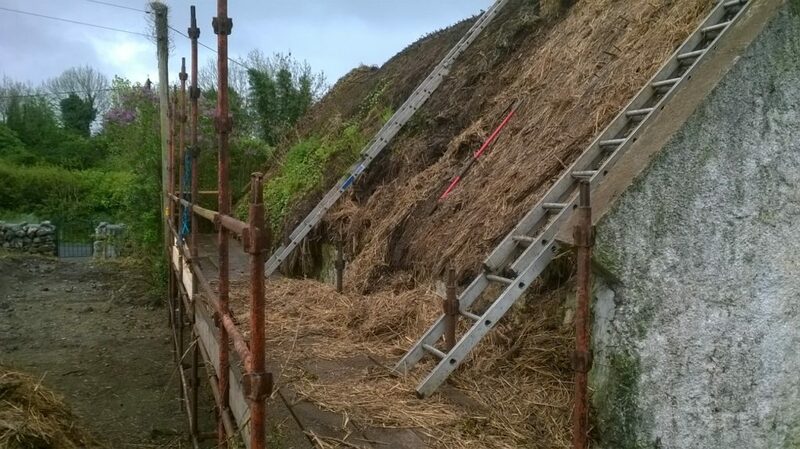 Stripping away the old thatch is a dirty job. Dust and crap everywhere. Plus the pile of waste that builds up can be intimidating. You need a good place to compost it all down. Farmers can use some of it for cattle bedding. It has to be gotten rid of some way or another. You need to firm up and reinforce the base coat to ensure you get a good anchor for your scallops. Use a large wood mallet to hammer in the scallops. 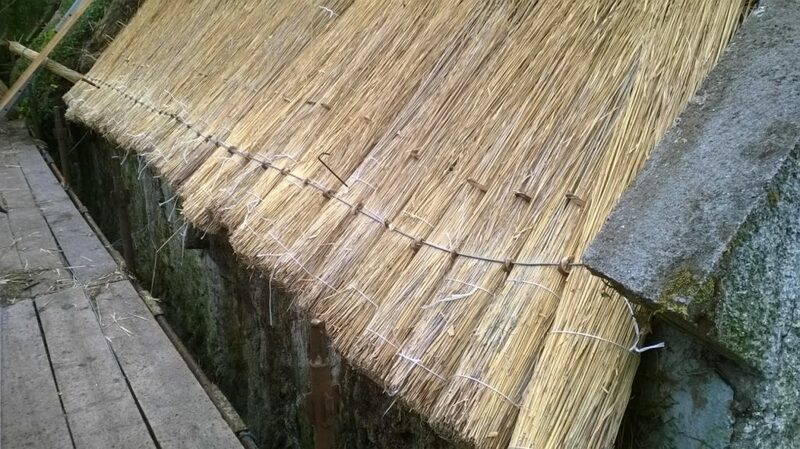 Then on goes the bundles of water reed to create the eave. Simple enough eh? 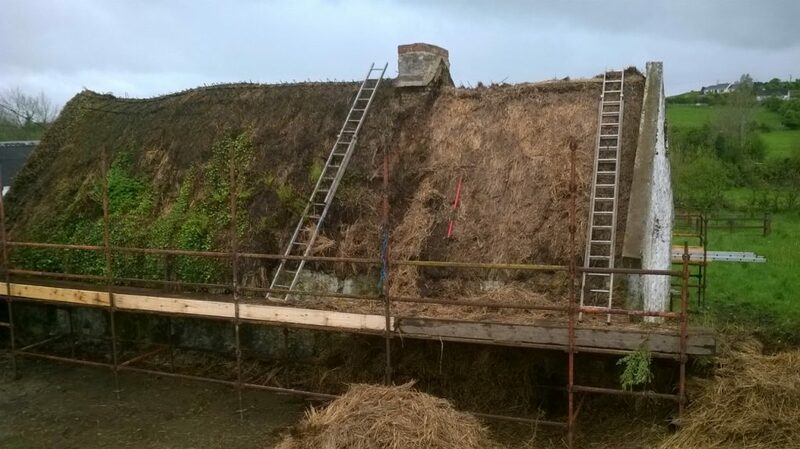 The new coat of thatch is built up layer upon layer until we reach the top. 14 inches thick all the way. 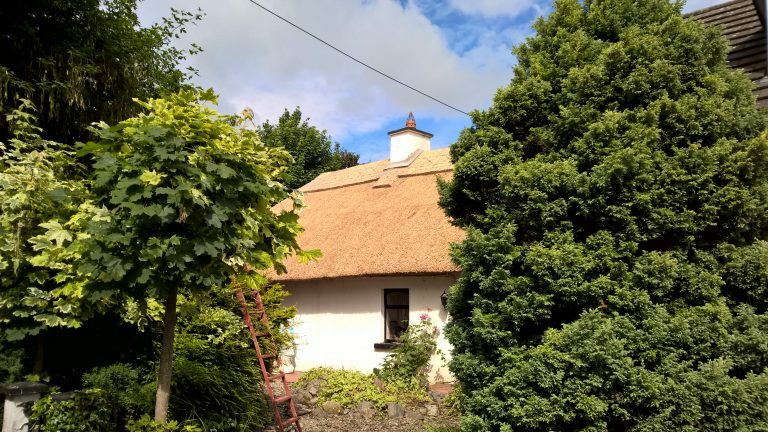 Learn more about Thatching in Ireland.